There I was, standing in the Christian book store with shelves of Children’s Bibles in front of me, looking for the “right one” for my 2 yr. old little Mandy, this would be fun. I expected it to be fun. Instead of fun, it was shocking. 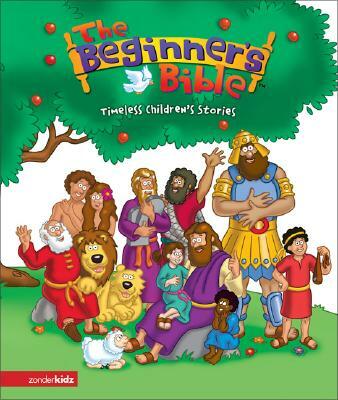 There are two problems with most children’s Bibles on the shelves of Christian book stores today; first, they look and read like a “story book” instead of a book of historical events and truths. Second, these books being peddled as envoys of truth are actually skirting the truth. 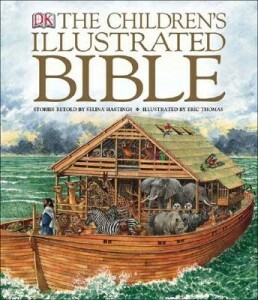 The goal of a Children’s Bible is to accurately bring the contents of the Bible to our children. The crucifixtion page is a tell tale sign. If it is a sunny place with no one on the cross, the truth is being misrepresented. Your kids can handle the truth. The truth is interesting to them! The Bible is NOT a story book. Next time it is time to call little Gertrude for Bible Study, why call it story time! These are not stories like Dr. Seuss or Marcus Pfeister books. You do not want Gertie to equate the two. Why then should a children’s Bible have cartoon characters and other entertaining aspects which make them look like story books? I know; the makers are trying to make it interesting to children. The truth is interesting to them! You do not have to make it interesting, if you are excited about His word and it’s truths, you simply have to present the information accurately. The history of Jonah, David and Goliath, the three Hebrew children thrown into the furnace, the healings of Christ and the resurrection etc, are all interesting. Do not skirt the truth of the resurrection with the assumption that the truth will be too much for them. The resurrection is the foundation of our faith, and needs to be presented early in a child’s life and clearly. The best way to tell right away if accuracy was an intention for any Bible put together for children, is to turn to the crucifixion. If what you see there is a peaceful sunset, behind a beautiful cross, on a green grassy hill, the intent was clearly NOT to portray the truth accurately to children! The Biblical facts and truths are not too much for children in any era, especially one in which children are inundated with useless violence and sexuality. We need to beat the culture to the punch, make sure Biblical truth is made clear to them as truth from an early age. If you would like a suggestion for a quality children’s Bible, I suggest you check into The Children’s Illustrated Bible by Selina Hastings. I just checked into it on line recently, it looks like the material hasn’t changed much since I bought one fifteen years ago. I couldn’t tell if it still contained maps though. Mandy still has hers as a keepsake, although it is in several parts.